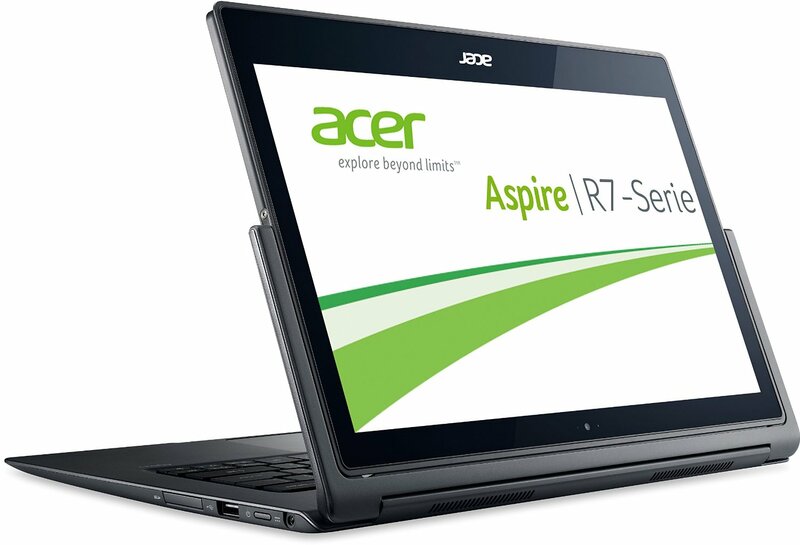 Model: The Acer Aspire R7-371T-55DJ is designed for high performance and flexible usage. 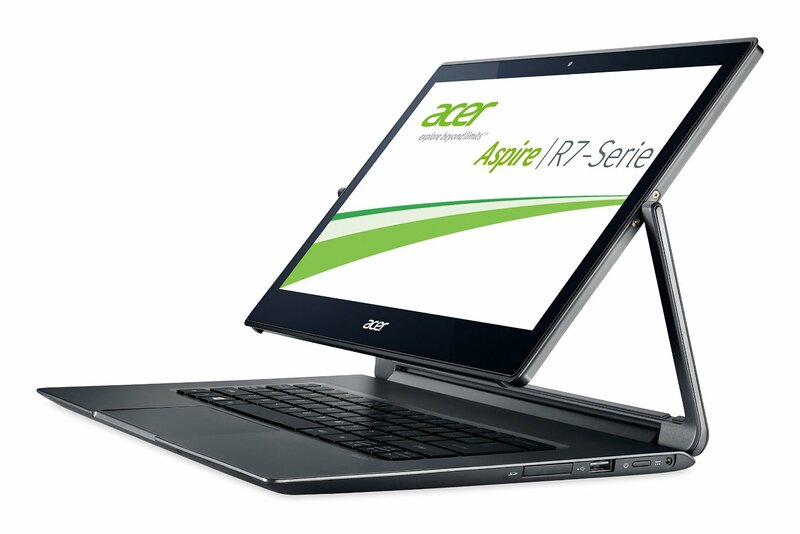 It is convertible, versatile and well-built according to Acer, but the display lid looks to be a little difficult to get used to. 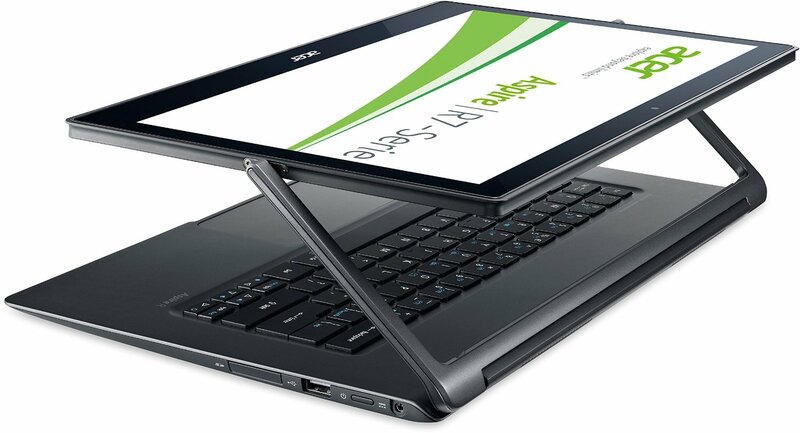 The convertible is suitable for business users who are looking for a compact, lightweight and well-built laptop. 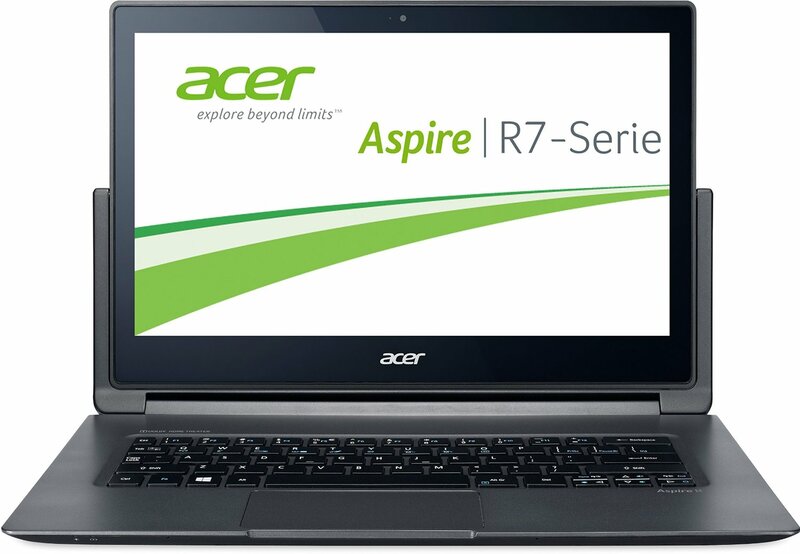 It comes with Windows 8.1 Pro 64-bit edition, a 2.7 GHZ Intel Core i5 4210U processor, 8 GB of DDR3 RAM, an Intel HD Graphics 4400, and a 256 GB Solid State Drive. 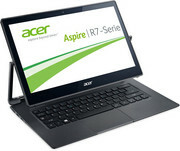 Its 13.3 inch Full HD IPS screen has pleasant viewing angles and supports multi-touch inputs. Thanks to Gorilla Glass 3, it is scratch resistant and its screen coating effectively reduces reflections, which makes it also suitable for outdoor usage. 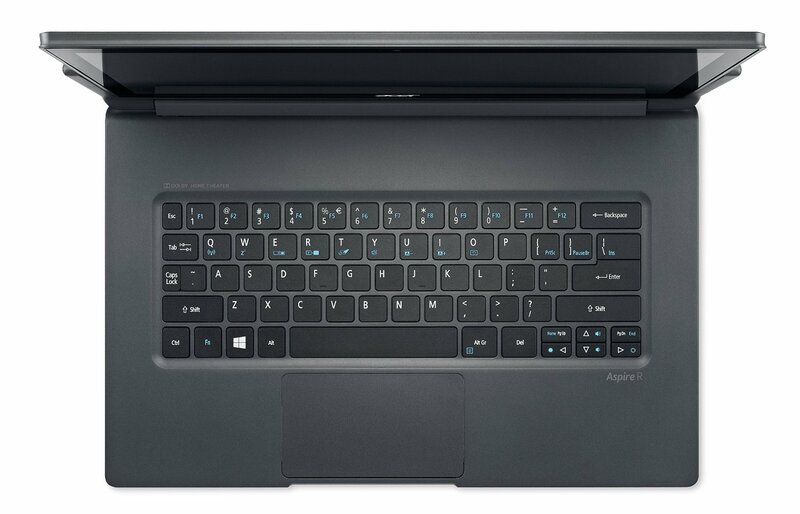 The backlit Chiclet keyboard is comfortable to type on and pleasantly quiet and the touchpad is quite responsive. 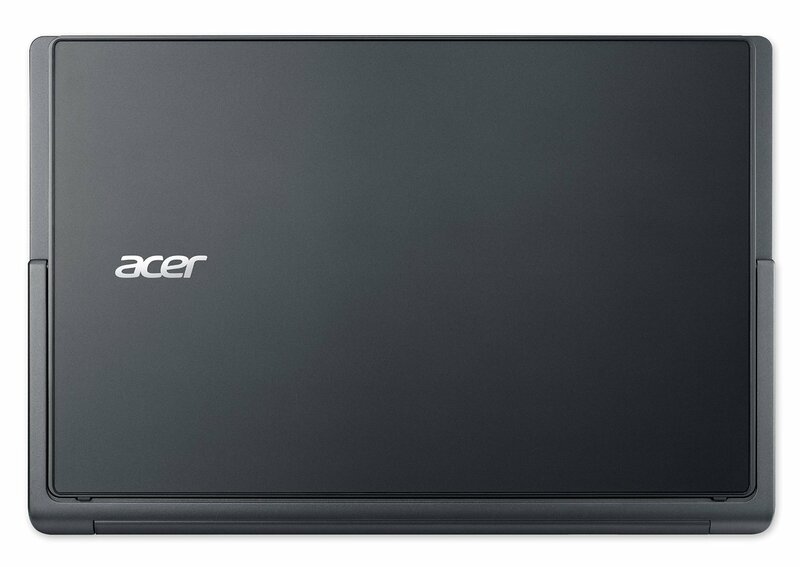 As Acer does not rely on LED, the backlight is not too bright. 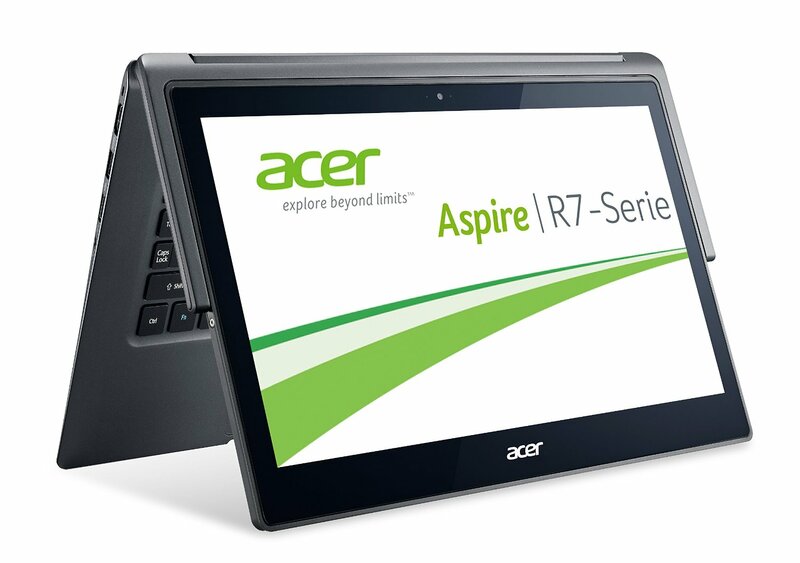 The Aspire R7 does not have a DVD burner due to its thickness, but a card reader is included. The laptop comes with two USB 3.0 ports, a USB 2.0 port, an HDMI port, a headphone jack, a microphone jack and an HD webcam. It has a convenient weight of 1.47 kg and the battery life is up to 7 hours as promised by Acer and it can last up to 15 hours with minimum brightness as measured in one of the tests. 80.57%: This rating should be considered to be average. This is because the proportion of notebooks which have a higher rating is approximately equal to the proportion which have a lower rating.